Is your new or used BMW car in need of a tune up? 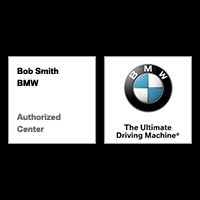 Bob Smith BMW offers BMW Value service so you get competitive pricing on a variety services. Below, you’ll find the prices of the affordable services, like oil changes and tire rotations, we offer at our BMW Service Center. If you have any questions or would like to speak with an expert member of our service department, please call us at (888) 707-6277 or contact Bob Smith BMW online. We look forward to serving you at our BMW dealership near Canoga Park, CA.